Reduce Employee Absenteeism and Sick Days. Connect with Accelerated Healing – Your Own Superpower Health! As a speaker, the healing force of Dr. Shiroko Sokitch is palpable. Stemming from her 30+ years of dedicated practice in Chinese and Western Medicine, Dr. Shiroko empowers audiences to trust the wisdom of their bodies and achieve optimal health, happiness, abundance, and fulfillment in their lives and at work. Her ability to inspire and affect audiences makes her an invaluable resource for healthcare professionals and a lead educator for integrative medicine. Since opening Heart to Heart Medical Center in 1993, Dr. Shiroko has been leading seminars and speaking on emotional health and wellness, integrative medicine, and her revolutionary approach to holistic healing. 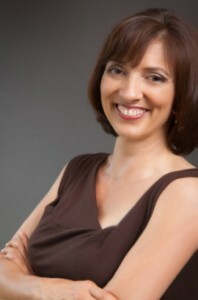 Her impactful keynotes are also offered to healthcare professionals for a variety of CEU credits. Inspiring and authentic, Dr. Shiroko’s breakthrough holistic methods are stunning audiences and pioneering a new definition for health. Fall in love with your work and your life! Emergency Room Physician: 10 years experience with a medical background in surgery. Integrative MD & Acupuncturist: Built a thriving practice for over 25 years by blending Chinese and Western Medicine. Visionary: Developed a revolutionary and holistic method for True Health. 12 years alternative health advice columnist for The Healdsburg Tribune and Sonoma West. Television producer and host for “Perspectives on Healing,” aired in cities across California since 2010. Shiroko was incredibly engaging and knowledgeable. The audience truly loved learning and interacting with her, staying well after the talk was over to ask her further questions. With authenticity and humility, Dr. Shiroko demonstrates a natural ability to empower and inspire people. It was an absolute pleasure to work with Dr. Shiroko, and we look forward to collaborating with her again. I had the pleasure of meeting Dr. Sokitch, when I asked her if she wouldn’t mind speaking for a group of professionals at Oakmont Gardens retirement community in Santa Rosa. I had accidently come across her website one day and started to read about all the wonderful things she can do to help people optimize their well-being. The Senior Living Resources Group of Sonoma County were extremely impressed by her expertise and experience on many different topics of health and the practice of Chinese medicine. We were all intrigued, not only for ourselves, but for the senior population we serve. We found her to be a candid and experienced speaker. I felt fortunate to have the opportunity to hear Dr. Sokitch… I was impressed by her integrity and authenticity. Her presentation was very informative relative to holistic health from western and eastern points of view. It is refreshing to hear a medical physician embrace health care from this perspective. Her discussion was engaging and prompted many questions from the group. I highly recommend Dr. Sokitch as a speaker. I have had the pleasure of hearing Dr. Shiroko speak on many occasions, including a talk she gave recently at the Rotary Club of Ignacio. She comes across as professional with vast knowledge. Approachable and relaxed. Dr. Shiroko has a unique medical practice which incorporates both Eastern and Western approaches and employs many modalities in treating her patients. She welcomes and in fact invites opposing viewpoints and naysayers. Her presentation gently yet deftly compels the audience to consider trying something new with their health and/or lifestyle… It’s obvious that she walks the talk which lends credibility and conviction to her talks. It is my sincere hope and wish that she gets worldwide attention so that she can spread her message of healing and promote a healthy, balanced lifestyle. Imagine never having a sick day again. What would it take? Dr. Shiroko offers powerful tools to create a fundamental shift in the way her audience relates to their bodies and their health. Through stories, humor, and genuine compassion, she enables audiences to understand and listen to the inherent wisdom within their bodies, and learn to become managers of their own health. By blending her expertise in Chinese and Western medicine with her deep understanding of the effect of emotions and stress on the body, Dr. Shiroko offers a holistic method for implementing a revolutionary approach to wellness. The results are life-changing! Did you know that your health can keep improving as you age? Why wouldn’t you be able to? The 7 Keys of Accelerated Healing, developed by Dr. Shiroko and taught in this astounding keynote, instructs audience members how they can age and improve every minute. By giving specific guidance for each element of health – hormones, digestion, joint pains, skin health, weight, brain support, heart, circulation, and the immune system – she teaches how you can plan to be vibrant and healthy all your life! Get Rid of The Monster – Stress B Gone!! Chronic unremitting stress can destroy your health, damage relationships and reduce productivity. By incorporating fundamentals of Chinese medicine, Dr. Shiroko offers simple and practical solutions for stress management, invigorating and renewing her audiences perspective on their personal and professional lives. Offering simple tools that can be put to immediate use she helps individuals actively address their own ability to tune into their bodies and create lasting change in their lives. You won’t want to miss Dr. Shiroko’s entertaining Q&A session with the audience. How does thinking outside the box enhance your life? We are often given advice that may end up limiting our ability to heal. It can impact our health, work, and joy in life. As a physician-turned- acupuncturist, Dr. Shiroko is an expert at ‘outside the box’ thinking. In this compelling keynote, she offers her unique holistic perspective on health, which can simplify the healing process and hails remarkable results for both individuals and healthcare professionals. This program serves a multitude of groups where Western medicine has not provided solutions such as Chronic Fatigue, Alzheimers, Healthy Aging, and more. CEU credits and question and answer opportunities available. One of the unspoken pains in healthcare is that nurses and other healthcare professionals sometimes don’t feel treated well by the physicians they work with. These doctors often behave in a way that comes across as arrogant and dismissive. With authenticity and compassion, Dr. Shiroko sheds light on this natural predicament, and helps bridge the gap between doctors, nurses, and patients. Improve patient care, efficiency, accuracy, and satisfaction by learning to understand these dynamics. Healthcare professionals have a paramount responsibility and are making daily decisions that are truly life and death. This stress often makes communication between colleagues difficult, and the idea of “care” can become superfluous in comparison to the task at hand. This is an instrumental keynote for creating better understanding, communication, and support within any medical community. Excellent for CEU credit. Dr. Shiroko has mastered living a dynamic and active life while maintaining her own vibrant health, and shares her secrets in this captivating keynote. Through personal stories, Dr. Shiroko offers practical suggestions that are easy and fun to implement and can affect your life immediately. Audience members learn to improve efficiency, happiness, overall health, and their ability to enjoy life. Q & A at end available. 6. Never give up, be patient and persistent in your quest for health. Girl, You’ve Gotta Fall in Love with Your Life! Have you ever noticed that when you’re in love, everything feels good? In this unique keynote, geared towards women of all ages, Dr. Shiroko demonstrates how falling in love with your life can activate that sense of being in love, and help you achieve optimal vibrant health. Dr. Shiroko reveals secrets to staying fit and healthy, and offers a range of simple solutions including acupuncture, bio-identical hormones, Chinese herbs, stress reduction, and bringing love into your health regimen. As an MD who began her medical career in surgical residency, worked in the ER for 10 years, and ultimately turned to Chinese Medicine, Dr. Shiroko has a vast understanding of both Western and Eastern medicine. Through this highly informative keynote, audience members will gain an understanding of the integrative medicine perspective and learn key Chinese medicine concepts that can improve the practice of western medicine. This keynote is an excellent resource for progressive health care providers, and can serve an alternative way to take charge of their health. Great for CEU credits.